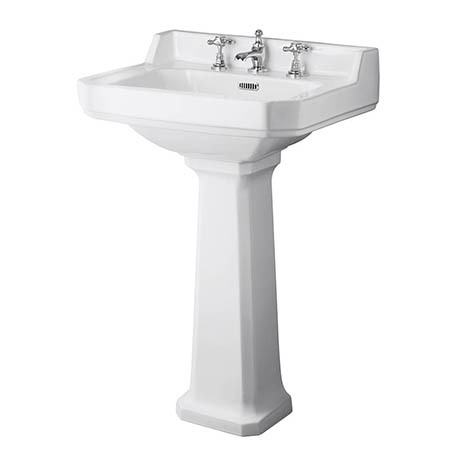 A high-quality traditional 3 tap hole basin with overflow and full pedestal from period bathroom specialists Old London, ideal for creating a period look in your bathroom. Manufactured using high-grade vitreous china ensuring a quality finish and long lasting durability. Bring a touch of elegance and style into your bathroom with the sublime Richmond collection of sanitaryware. Comes with a 5 year guarantee against faulty workmanship or materials.